If you were hoping for new All Time Low music this year, you're about to be (a little bit) disappointed. When asked if in the wake of Alex's new band Simple Creatures which he co-fronts with Mark Hoppus, there's a future for All Time Low, Alex shared "Absolutely - We’re taking a little break, but hopefully by next year we’re going to be ready to go again." Then Jack chimed in, with a surprise announcement that he's working on his own little side project in the mean time, sharing "Alex is doing Simple Creatures, and I’m working on a little somethin’ somethin’." 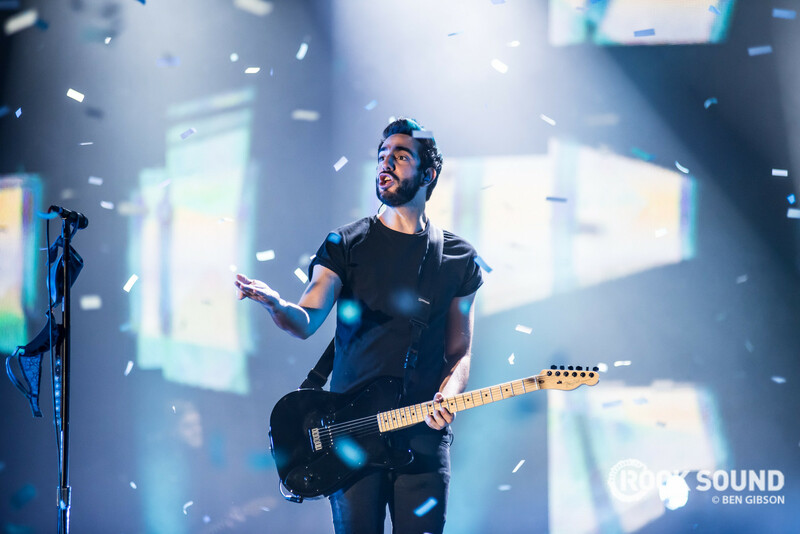 Jack continued "But the thing is, no matter what, All Time Low loves touring. Alex wants to do his thing, but I’m gonna make him come back. The thing is I was like ‘Alex I want to take the year off, you go do Simple Creatures, I want a break’ and he was like ‘let’s get back in the Fall’ and I’m like dude no - I want to sleep," to which Alex replied "I’m a work horse! I like to work!" No word yet on what Jack's side project entails, but consider us interested. All Time Low's only scheduled performances for 2019 are for Slam Dunk. Slam Dunk 2019 will take place on May 25 in Leeds and May 26 in Hatfield, with tickets available here. All Time Low were at Coachella over the weekend, helping to debut DJ Kayzo's brand new single which Alex collaborated on.